With three birthdays in two days, and then Christmas two months later, we tend to accumulate a lot of toys this time of year. I have nothing against toys (we have plenty to go around), but it gets to be a bit much at times. So, this year we've decided to do a trip for our boys' birthdays. We are headed to Disneyland tomorrow morning! My husband and I have had this planned since the summer, but our boys just found out last night. It was so exciting! So, I'm taking a break from blogging for the next week. We'll be enjoying the sights, sounds, and smells of Disneyland. I think I might even be a bit more excited than my boys. I've never been at Halloween time, so I'm extra excited! I'll be posting some pictures on Facebook, so follow along if you'd like. I hope you all have a wonderful week, and I'll see you back here Monday, October 28. P.S. We're driving (10 lovely hours). Wish me luck! 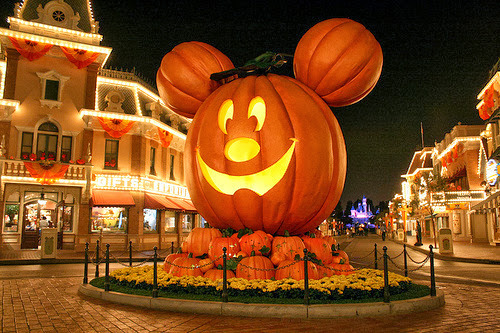 I have always wanted to go to Disney World for Halloween. I have heard they have great Haunted attractions for all ages. I have two sons who love scary stuff so during Halloween I always take them on a Haunted Hayride. I was told about the Best Haunted Attraction in Pa to visit this year so I can not wait to take them. They supposedly have 6 different attractions we can do!